Topiary Gardens was established in 1994. We are a small nursery in Central New York, 18 miles southwest of Syracuse. Our interest is in growing new and hard to find conifers, perennials, shrubs and trees. 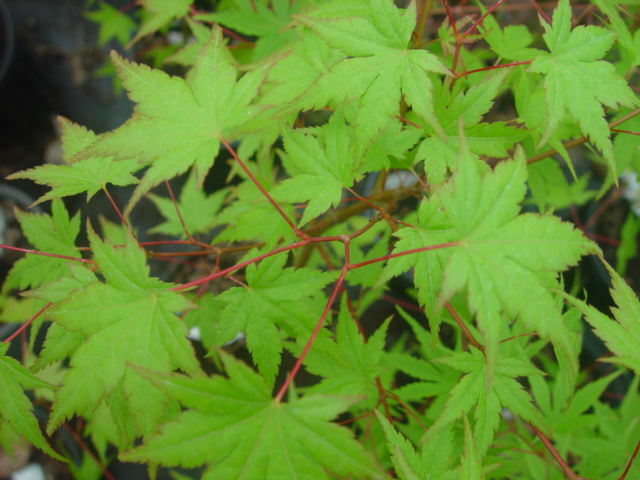 We have a special interest in Japanese maples with over 700 varieties available and we are adding to the collection every year. 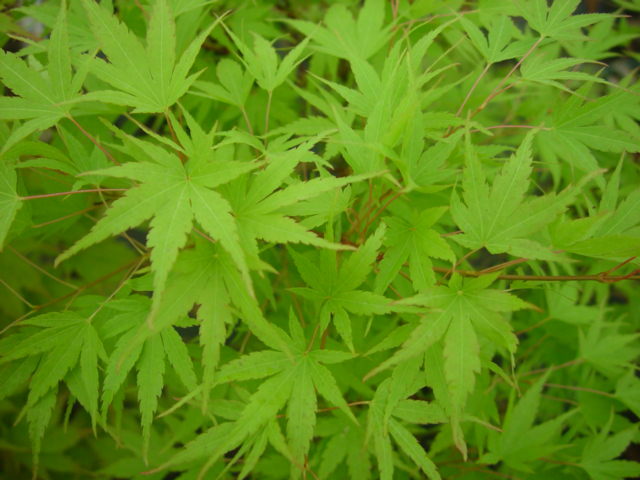 Our maples are grown from grafts that are produced at our nursery. A background in the production field of the nursery trade for over 30 years enables us to produce high quality plants with the utmost care. As plant connoisseurs, we are able to bring to you many plants that you won't see at your typical garden centers. If there is something you are looking for, let us know, we may have it in our smaller stock area. You are welcome to visit the nursery or make purchases at the nursery. The bloom time is from April through June and peak is reached in the middle of May. Call or write before coming for directions and to make sure someone will be available to assist you. 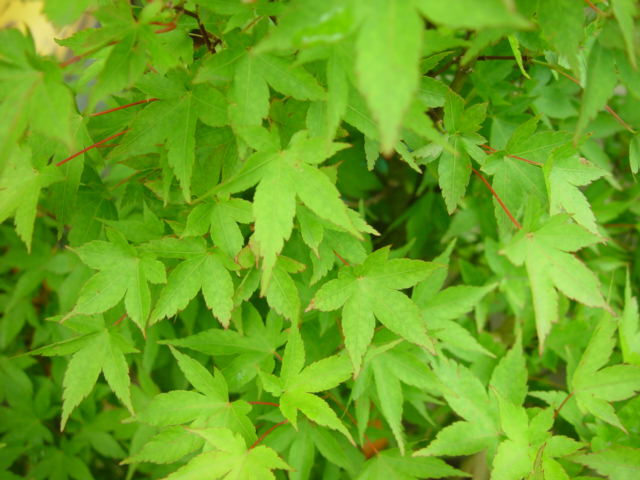 Maples are sold as one gallon sized material unless stated as larger. They are two years old or older. Each maple was tagged at the time it was grafted to ensure no mix ups. The thermal tag shows the species, variety and date of the graft. We may have some maples in larger sizes. Please inquire with the variety name. We prefer to use FedEx ground or Priority mail. If you like, you may contact us with your own preference of carrier. Shipping costs can be calculated by adding 30% to your order along with $8 boxing/handling fee. There will be an extra shipping charge on oversized boxes of $18 due to FedEx new changes in there calculations of dimensional weight. You will be notified if this should happen. We do our best to try to keep within limits to not incur these charges. Minimum shipping charge is $15. We assure you that your plants will arrive in good condition but we cannot take responsibility for damaged packages through the shipping carrier. If your package is damaged, please open and check the material inside, there maybe nothing wrong. If the plant is damaged, please notify us immediately. WE DO NOT SHIP TO AZ, CA, OR and WA or OUTSIDE THE US. Due to regulations in those states and other countries. Order placed in NY will have an 8% sales tax added to the purchase. Plants will be shipped at proper planting time or you may choose a date. We accept Mastercard, Discover, and pay pal. You can place you order by our secure server, fax, or telephone. If you prefer, you may pay by check or money order and mail to the address below. If you are paying by check, your shipment will be delayed for two weeks. We urge you to place your order as soon as possible, since most of our stock is very limited. We hope to fill all orders. We will not make substitutions on your order without your permission. If you are interested in a maple that is sold out, contact us and we will put you on the wait list. There is no obligation to make the purchase. .
We have over 800 varieties and still collecting. Not all are always available. Some sold out varieties maybe available but not listed on the site. Bonsai quality grafts available for some varieties, please inquire. If there are questions on certain varieties, we will be happy to send a photo and give descriptive information on the maple in question. 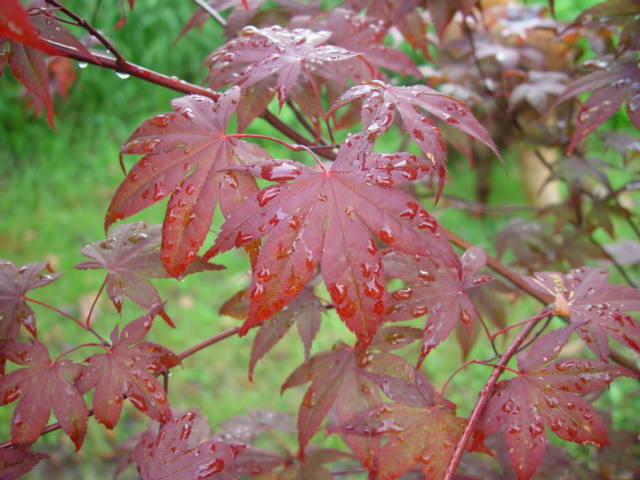 We will eventually have information about all of the maples listed on the site. We plan to add unusual and rare conifers, perennials, trees and shrubs that will compliment your garden and add interest to your landscape. This will take time and planning. Feel free to ask us any of your horticultural questions. We are not just maple addicts, we are plant freaks!